NEW: Now with glowing eye textures. This mod aims to make werewolves more brutal and aggressive by making them sound like savage beasts they are supposed to be, with 3 different sound overhaul versions to choose from. 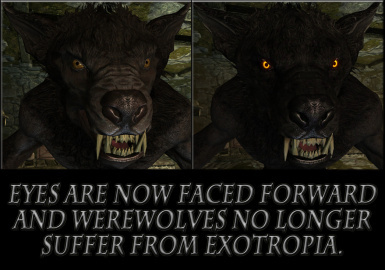 Now also with werewolf body and eye textures and an optional speed upgrade, and a skyrim video series I made. 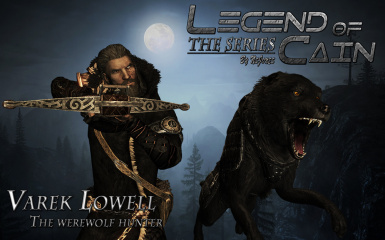 The Legend of Cain series is my own work, and is under no circumstances to be copied, downloaded or uploaded anywhere without my permission! 5) All the people that took time to upload amazing screenshots of their werewolves, a big thanks! NOTE: The mod is finished, there will be no more updates! The final update is a lower volume version of the Alpha werewolf sounds, and HD versions of all three werewolf textures. 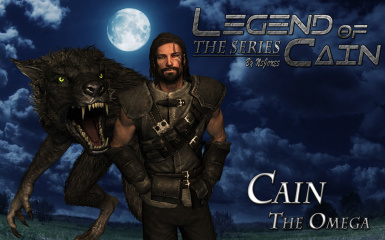 The Legend of Cain series is on a pause at the moment! I WOULD LIKE TO THANK EVERYONE FOR THEIR SUPPORT AND OVER 20.000 ENDORSEMENTS! Gopher has finally decided that both my mod and series deserve to be shown to the world in these videos! This version offers a much more terrifying and vicious experience as a werewolf by adding bone breaking and cracking sounds, some original 1.3 sounds have been kept however, but most have been remade. Note: There are two versions - the main version and the second at 70% volume! This version offers the most terrifying and horrific experience as a werewolf - In addition to bones cracking, blood gushing and splattering sounds have also been added. Some of the sounds from the previous 2 versions have been kept however, but most have been remade. - Ah, the heart of the problems! 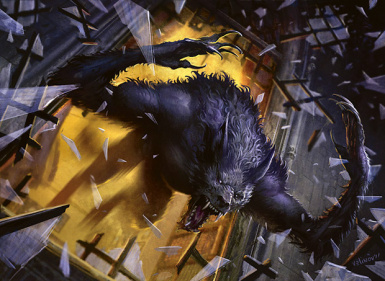 By the game guide, werewolves are faster then horses. - With this mod, the werewolves can now run as free and as fast as a wild stallion - teach those damn deer that you are far worse then any common wolf! - Not that you will ever walk around in your werewolf form, but if you happen to try it, now you can do it a little bit faster!! TAKE NOTE THAT THIS IS THE OPTIONAL PART OF THE MOD, AND MAY CONFLICT WITH MOST MODS THE SOUNDS ARE FINE WITH! ( minus the sounds) - It contains all my retextures and 4 glowing eye models, in addition it also contains werebear transformations and a TON of options for easy customization, including how to make your own wolf form unique! A MUST HAVE MOD for any self-respecting werewolf fan!!! 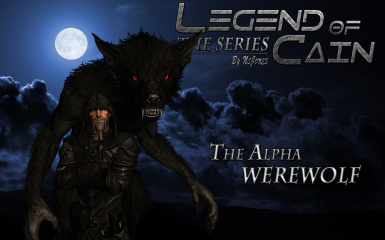 - this mod is something no werewolf lover should ever miss - It gives you a complete overhaul of the werewolf gameplay including the return of the Sanies Lupinus disease from Morrowind, moon based werewolf transformations, new transformation animations etc. and goes along with my mod just perfectly!!! The mod also contains the unique werewolf model I use for the Alpha werewolf in the pictures. - This mod gives you a huge amount of werewolf improvements, all via a single customization ring - Includes various boosts for both the wolf and human form, increasing damage, allowing you to switch shouts and transform in and out of wolf form at will, and even adds a new perk tree. - for those who want more variety of textures of all Skyrim's wildlife, don't miss this mod - It not only gives you 3-10 textures for every critter in Skyrim, It also comes with 10 unique werewolf textures! - Includes footprints for your character and most NPCs and creatures, including werewolves - a great mod for immersion! - A great immersion duo - when going wolf in cold weather or a blizzard, your werewolf will now be covered in snow and breathe out visible moisture from the nose and mouth, or get wet and drip water drops in the rain! 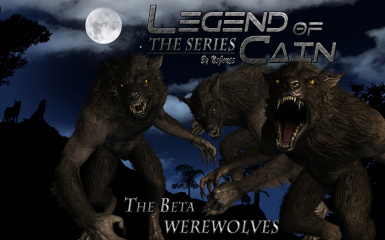 - This mod is a continuation of the Nature of the beast mod - it adds several sophisticated biological abilities and is best for werewolf players. It allows the player to smell the world, become and live as an Alpha werewolf and the ability to gather and command a wolf/werewolf pack. In addition it allows you to transform into a monstrous lizard similar to a were-dovah. - take note that my shout sound will replace all his shouts, so if you want his shouts just open the data/sound/fx/npc/werewolf and delete the npc_werewolf_shout_01 sound! 1.0 - Your werewolf can now truly howl and scare enemies to death with the new sounds! 1.1 - Now with the option to increase speed, your werewolf will run faster then ever before! 1.8 - Updated and improved body and eye textures have been released, fixing previous mistakes like too brightly colored hands and improving the quality and color of the eyes. This is the final update. 2) Elementroar - Special thanks for his help on the glowing eye model meshes! 3) Bethesda for Skyrim and for including werewolves in the game. 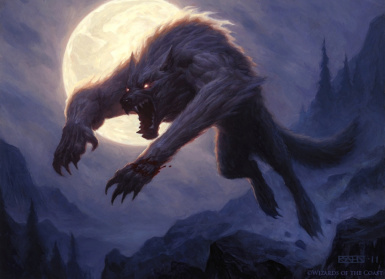 4) Magic the Gathering artists for their amazing werewolf art used on the front page. 5) All the people that took time to upload amazing screenshots of their werewolves, a big thanks - just keep 'em coming! THIS IS MY FIRST ( and probably only) MOD SO FEEL FREE TO COMMENT IF YOU LIKE IT, AND FEEL FREE TO UPLOAD SCREENSHOTS OF YOUR NEW WEREWOLVES! AND PLEASE REPORT ANY PROBLEMS ON CONFLICTING WITH OTHER MODS! Watch the episode in HD 1018p quality on youtube! 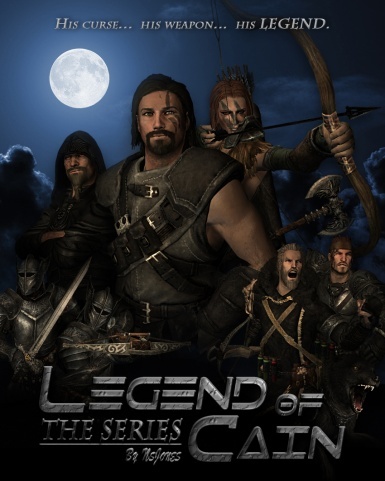 - After the series is finished, there may be a three-part ORIGINS trilogy, each episode explaining in detail the backstory of three major characters - Cain, Varek Lowell and the Alpha.